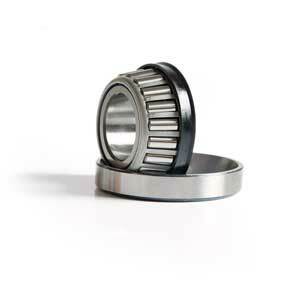 The Sealed Series Tapered Bearing is one of the most popular tapered bearing types and is found in a wide range of applications.It's designed to handle heavy radial loads and single direction thrust loads, and comes complete with a built in seal. It comprises of two parts, the cup - which is the outer ring of the bearing,and the cone- which consists of the inner race, rollers and cage. Please note that these bearings are measured in inches.